Maddix Park | Who Has a Shot at Winning ? There are 41 teams, equating to 123 riders, slated to contest the 2013 edition of the Motocross des Nations in Teutschenthal, Germany, this weekend. It's exciting to hear that CBS Sports is going to televise the historic event (for more information, click here). While there's no replacement for being pressed up against the fence and seeing the stars of motocross battle it out for the Chamberlain Trophy, watching it on television is the next best thing. As you know, Team USA went on a 13-year win streak, from 1981 through 1993, but hit a road block in the form of Great Britain. In the past eight years Team USA has won seven times, only losing in the gnarly sand of the Netherlands last year. The track in Teutschenthal, Germany, is mostly hard pack with sizable jumps–perfect for Ryan Dungey, Eli Tomac and Justin Barcia. To me it's obvious that USA is the top contender to knock of Team Germany for top bragging rights, because we don't have a weak rider in the field. The only stronger team we would have had is if Ryan Villopoto could have gone over to Europe. Even so, the trio of Americans should be firing on all cylinders. The three moto format, with only one bad moto being dropped, can be troubling. The years that Team USA has won the riders really didn't need to throw out a bad moto. However, apparently when Lady Luck is not on the red, white and blue's side then it gets ugly. Crashes were often the culprit, thanks to adverse conditions and unfamiliar tracks. I believe that Team USA will quickly adapt to the Teutschenthal track. WHO HAS A SHOT AT WINNING? My money is on Ryan Dungey and Team USA. Aside from the United States, I realistically only consider Germany, Belgium, Italy, France and Great Britain in the hunt based on team riders and past performance. France would have been extraordinary if they tapped Marvin Musquin for the team, but instead they went with Christophe Charlier. Even so, France has a solid team. 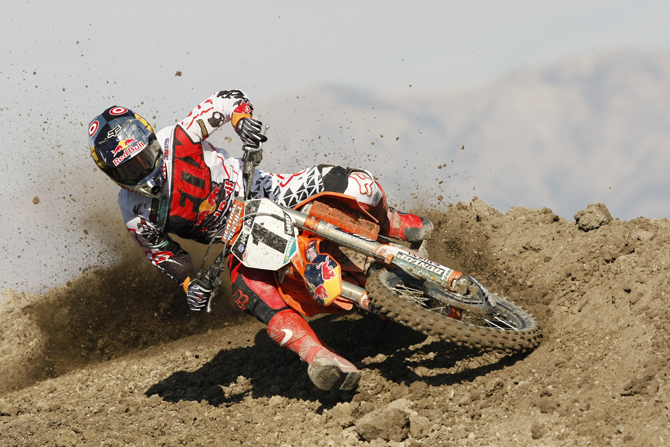 The defending winners, Germany, have Ken Roczen and Max Nagl, but a weak link in Dennis Ullrich. Belgium has a strong contingent (Ken De Dycker, Jeremy Van Horebeek and Clement Desalle), and aside from France I foresee them as being the toughest competition for Team USA. The dark horse would have to be Great Britain, with Tommy Searle, Jake Nicholls and Shaun Simpson. WHO CAN WIN THE 450 CLASS? 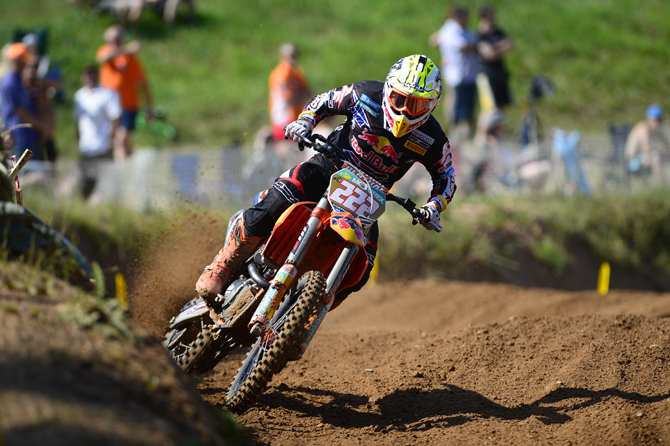 Is Tony Cairoli going to win the 450 Class again? Italy has the mighty Tony Cairoli, who should be thinking about beating out Ryan Dungey, Gautier Paulin (France), Tommy Searle (Great Britain), Max Nagl (Germany), Ken De Dycker (Belgium), Brett Metcalfe (Australia) and Evgeny Bobryshev (Russia) for top honors in the 450 class. WHO CAN WIN THE 250 CLASS? 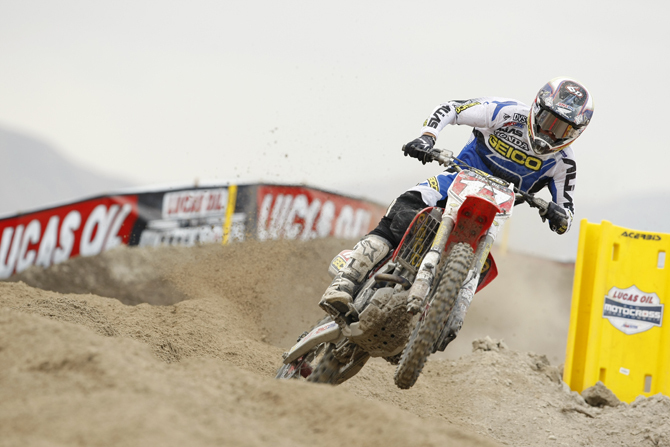 Expect a knock-down drag-out battle between Eli Tomac (above) and Ken Roczen (below) for pride and honor. It's going to be the Eli Tomac vs. Ken Roczen showdown, round 22 (12 Nationals and 9 Supercross races). Roczen won the 250 West and Tomac won the 250 Nationals. This race is for bragging rights before both step up to the 450 class. The other challengers for the 250 class in Germany are Jeremy Van Horebeek, Alessandro Lupino (Italy), Jordi Tixier (France), Jake Nicholls (Great Britain), Harri Kullas (Finland), Jose Butron (Spain), Alex Martin (Puerto Rico by way of Minnesota), and Jeremy Medaglia (Canada). WHO CAN WIN THE OPEN CLASS? 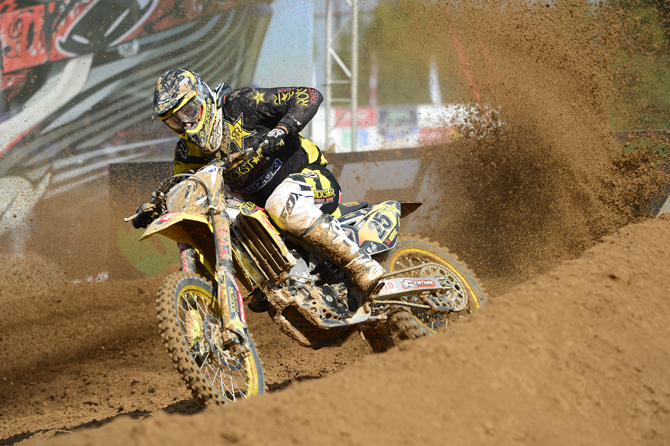 Expect a Clement Desalle (above) versus Justin Barcia showdown for the MX3 (Open) Class plate. Justin Barcia will be seeking revenge after he flopped in the sand last year. He'll square off against Clement Desalle (Belgium), David Philippaerts (Italy), Christophe Charlier (France), Tanel Leok (Estonia), Shaun Simpson (Great Britain) and Cody Cooper (New Zealand). I believe that Barcia will have the easiest time handling his competition, although Desalle could play the spoiler. WHO'S MISSING FROM THE MXDN? 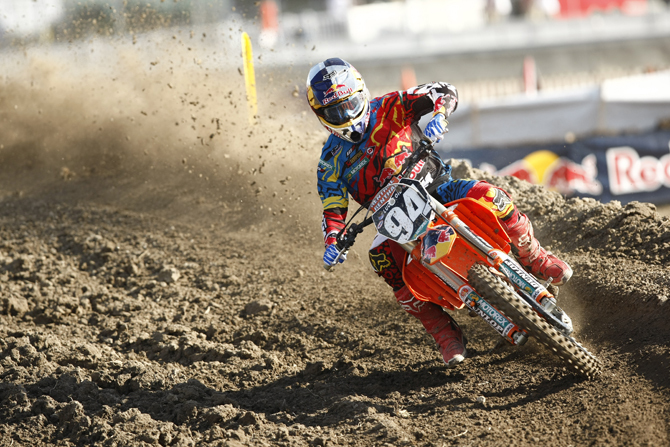 Jeffrey Herlings, the Dutch sand master, is out of this year's running of the MXDN due to a bum shoulder. He'll be missed. Aside from Ryan Villopoto, who would have been on the team if not for requiring ankle surgery, the other big name is Jeffrey Herlings. 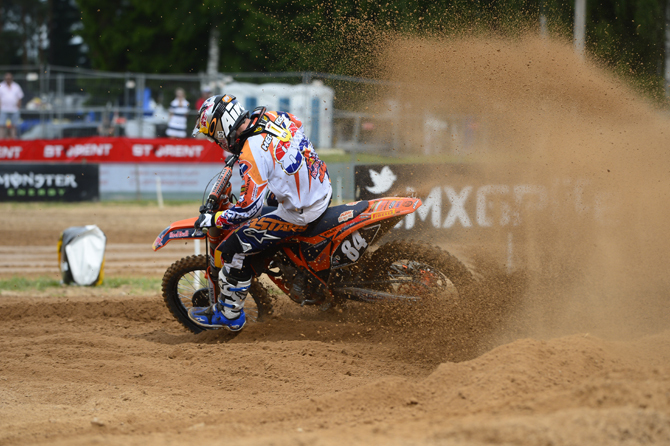 The pride of the Netherlands, Herlings was absolutely flying last year at his home race. Although he's not as good on hard pack, he's still a sight to behold. Unfortunately a bum shoulder will keep him out of this year's running of the MXDN. WHAT ARE MY PREDICTIONS FOR THE OVERALL? To see the entire list of the field, click here.